Set of Items to be Gifted to the Bride. 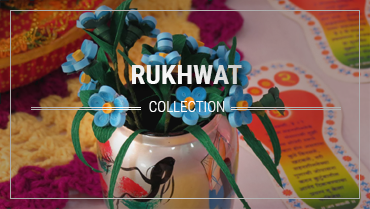 Ornaments, cosmetics and other accessories neatly arranged on a decorative tray. 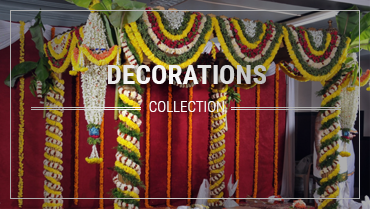 These gifts are given to the Bride during Seemant Poojan ritual. Decorative Tray containing: Nail Polish, Soap, Lipstick, Moisturiser, Compact, Comb, Deo, Shampoo. 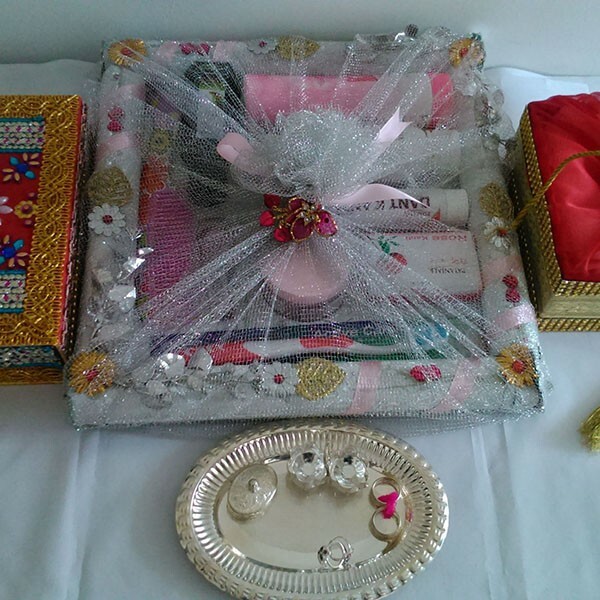 Silver plated Oval Tray containing: Haldi Kumkum Stand, Sindoor Box, Pair of Jodvi. 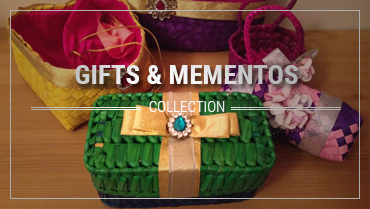 Decorative Batwa containing: Napkin, Handkerchief, Mirror, Jewellery Box.